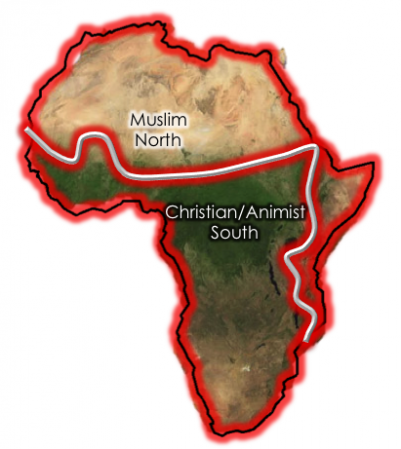 The map above makes up just under half of a TIME.com article by Thomas P. M. Barnett that so inanely oversimplifies African geopolitics (Muslim terrorism! China is scary!) that I’m almost at a loss for words. Shame on you, Barnett, and shame on Time for posting this.